Starlito comes through this Memorial Day with a new mixtape to bang, Introversion. In December the rapper dropped off a new album, Black Sheep Don't Grin, and since then he hasn't popped up too much save for a feature on Snootie Wild's "Here I Go" and a loose leak. For Introversion, he brings along his biggest advocate, Kevin Gates, and multiple appearances from Don Trip. Young Buck is also featured on "Still Thuggin," Robin Raynelle, Hotboy Nitty and more. Production from D Rich, Street Symphony and more. 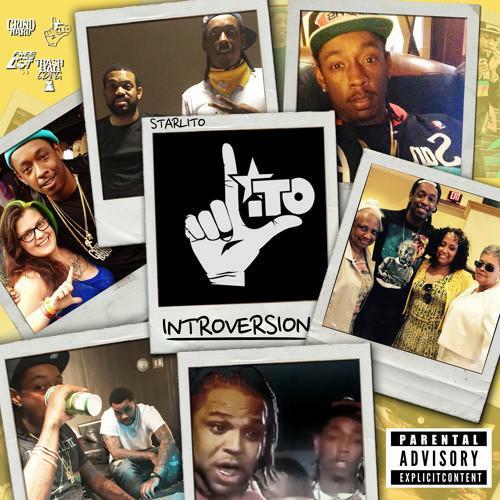 Starlito doesn't skimp on fans, offering 20 tracks for download. Stream/download, and let us know what you think.